Rajindra Gymkhana & Mahindra Club-The Heritage Located in pristine, lush green baradari gardens, in the heart of the Patiala city is the majestic red-tiled and tilted roofed building of the club, Completed in 1890's, it resembles the pavilion of the Oval England, and its exotic architecture is the reflection of the royal grandeur of erstwhile Patiala state. It was Maharaja Rajindra Singh who was a pioneer among the Indian princes to take on the game of cricket in the right earnest. Although only 14 years of age the young Maharaja showed great zeal and aptitude for it. The Maharaja and his young brother, Raja Ranbir Singh used to take up their position as rival captains on the field, eager to inflict defeat on the other side. 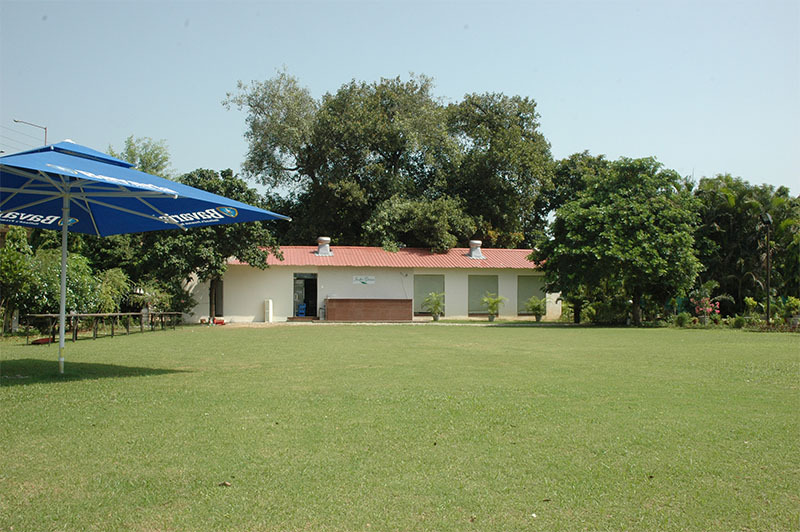 After the completion of the cricket pavilion, Maharaja Rajindra Singh established a regular club of Cricket and named it 'Patiala Cricket Club'. Also Squash was among the earliest sports initiated here in the late 19th century. During Maharaja Bhupindra Singh's reign many foreign teams visited India and the ruler saw to it that they played a match in the baradari grounds. It was only in this magnificent ground that many of the visiting foreign teams met their Waterloo. He was also acclaimed as British Empire's leading cricketer in 1911. After the integration of states, the building remained a part of the cricket pavilion. PEPSU was created in 1956 and Maharaja Yadvindra Singh was made the Raj Parmukh of PEPSU. This building was converted into Rajindra Gymkhana & Mahindra Club (R.G.M.C) under the stewardship of the Royal family of Patiala. Subsequently, democratically elected teams have kept the promise of preserving it. RGMC is proud of the fact that it probably provides maximum variety of sports viz-a- viz any other northern club. It is also famous for its beautiful and serene tree lined walking tracks. At present, it has 2800 strong membership from various walks of life. The legend goes that the famous 'Patiala Peg' was first adopted here. It is a second home to Patiyalvis who share their bonhomie here of both sedate and boisterous predisposition. This century old historic 'monument of joy' continues to live in its resplendent glory, sharing mirth and merriment of people.